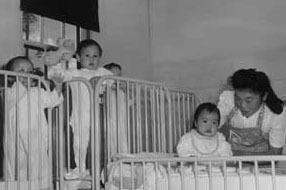 The Densho Encyclopedia is a free and publicly accessible website project launching in the fall of 2012 that will provide concise, accurate, and balanced information on many aspects of the Japanese American story during World War II. We have started to release sample entries to showcase the content and give you a chance to preview the encyclopedia while it is still under development. Funding for the first phase of the encyclopedia is being provided by grants from the Japanese American Confinement Sites Grant Program, administered by the National Park Service, and by the California Civil Liberties Public Education Fund.